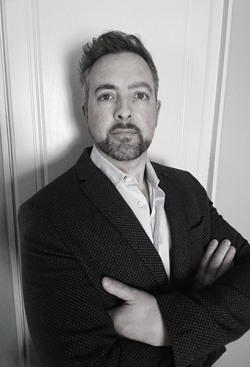 Michael O’ Mara is a Dublin based interior designer who originally started his career in Advertising. “What really appealed to me about creative advertising was the idea generation and visual design.” He says. Over five years he worked through the ranks and became an Art Director, skills he eventually transferred into the interior field. Michael Ó Mara Interior Design & Property solutions was set up in 2005 as a full service agency to provide quality, unique interior design solutions for Residential and commercial clients. To solve your brief in the most creative, practical and cost effective manner. We endeavour to give you the freedom and confidence to make your project a unique and inspired reality. Contemporary, classical & minimal expressions in design melded seamlessly through the use of unique, refined textures & materials, sophisticated colour swatches and bespoke design details. Michael Ó Mara Interior Design’ projects have appeared in many publications.